Linda Coppin has a chemical degree and started to work in 1986 in the epoxy R&D department of Shell in those days. Subsequently she has held positions in technical service and sales of the epoxy products portfolio. 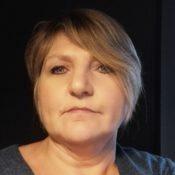 Today she is responsible for the Hexion European distributor network where she focusses, amongst other tasks, on the introduction and follow-up of waterborne projects in the small and midsize coatings customer base.